Our first half of the Easter break has been pretty nice, we’ve not been away but we have done some lovely things! We’ve also had a couple of lazy days which I think we all needed as much as the fun days out! On Sunday we tried to continue the stabliser-less bike riding that both kids had achieved the day before (Arlo more successfully than Athena) but it was a bit bumpy and a bit hilly, so we gave up for now! We spent the afternoon at High Salvington Windmill who were having their first open day of the year. 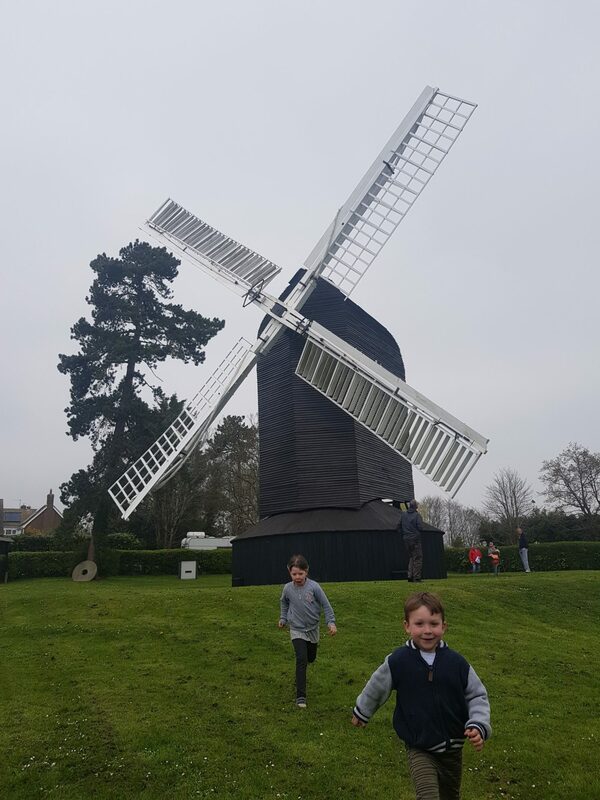 I remember visiting the windmill when I was probably only a few years old than Athena, and for some reason we’d never managed to get there with our own kids till now! It’s a working windmill, and one has been on that spot since the 1750’s they reckon! 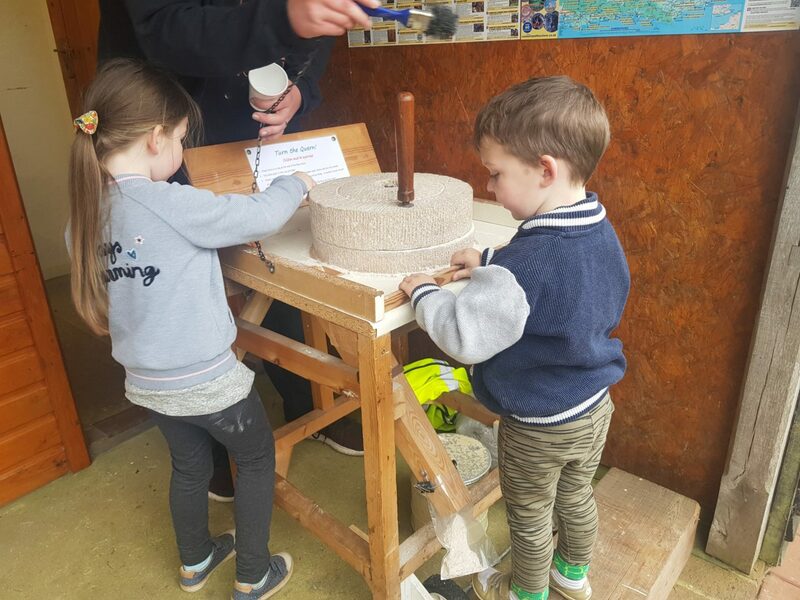 The kids got to try their hand at milling, and then we had a tour around and inside the windmill. I absolutely love things like this, and chap that showed us around was so good at getting the kids involved and explaining it in a way that kept it interesting for them! If you’re local to Sussex you can find the opening times out on their website. 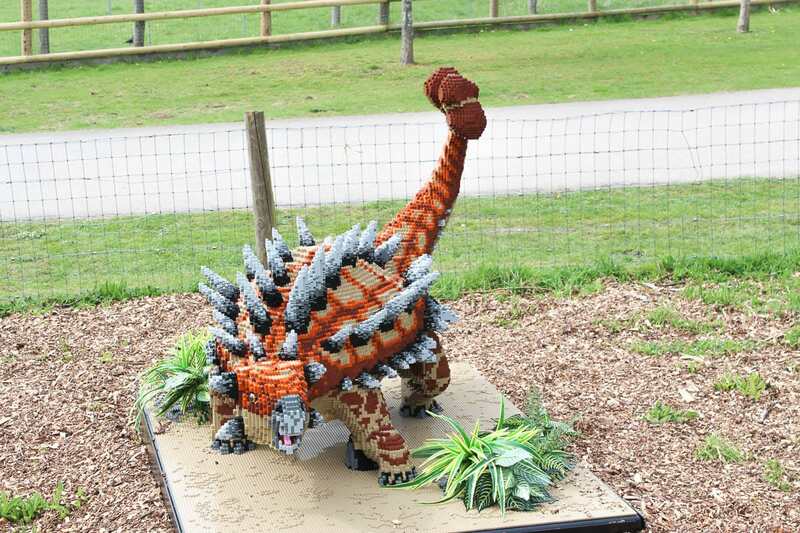 On Monday we spent the day at Marwell looking for all the Brickosaur dinosaurs, which are huge lifelike Lego models dotted about the Zoo! I’ll be sharing a blog post about our day very soon, but here’s my favourite dino from our day, the Anklyosaur! On the same day we had to go and pick up Sam from work, and whilst we were killing time we had a little walk around Woods Mill near Henfield. We only had half an hour to kill but will definitely be back as there looked like so much more to explore! 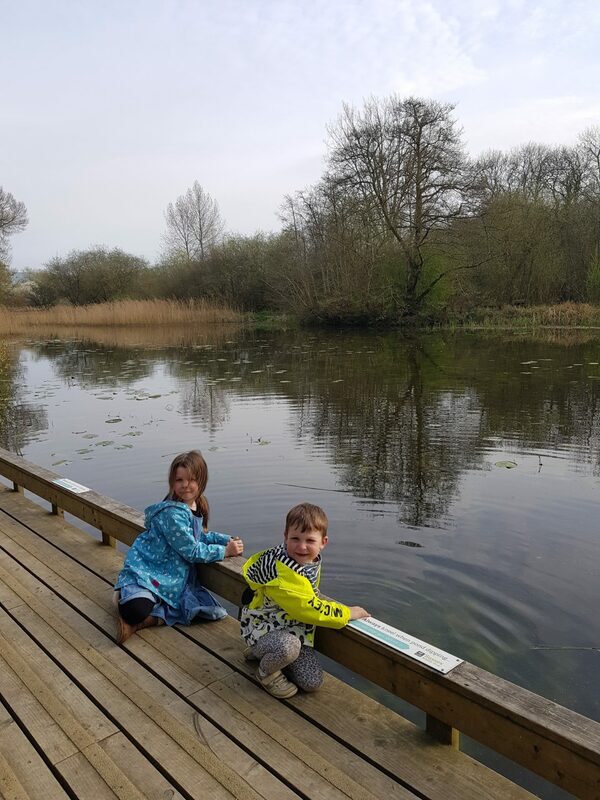 The kids had fun flinging pebbles in a ditch to make ‘plop’ing noises and then did a bit of dipping in the pond (with their hands, ick!) 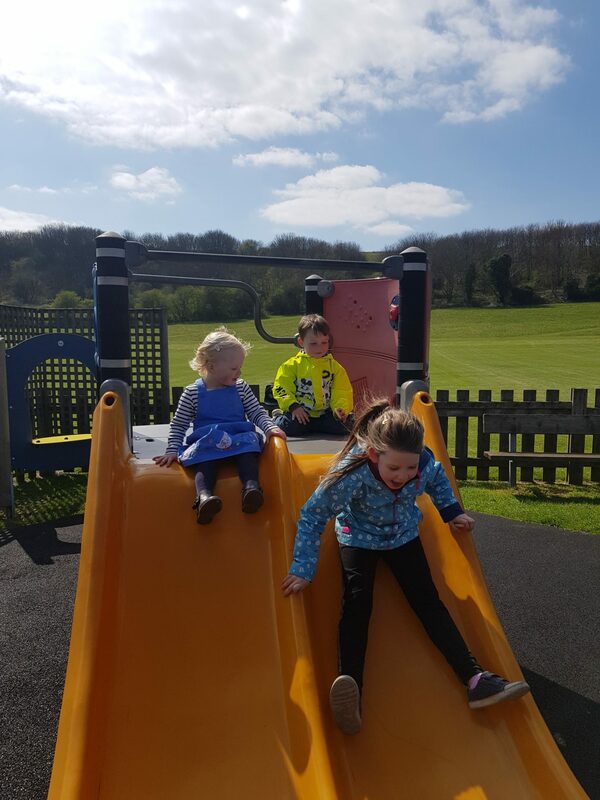 Tuesday was a chill out day at home, where I managed to do a fair amount of work and kept the kids happy – amazing and rare! 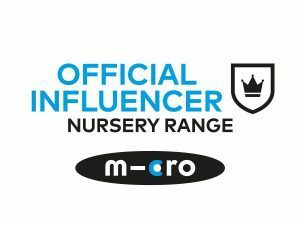 On Wednesday my mum came over to look after the kids as I had a meeting in Brighton with a new client, and then spent an hour or so pootling round the shops – though everything I bought I ended up returning on Friday, sods law! On Thursday we spent the day with Lyndsay and her two girls hanging out and hers and a trip to the park. It’s so nice to just spend the day with my kids helping to keep Violet occupied! I also think Athena would very much like a baby sister as she was in love with Pearl! Sorry Athena, you’ll be waiting forever! On Friday I lost Arlo on Brighton beach… thankfully he was found on his own having escaped from the park by a lovely lady who worked in one of the beach shops who radioed beach patrol, though we’d been reunited before the beach patrol guy arrived on his quad bike. Arlo was apparently wanting to get a closer look at the water pistols we had walked past earlier, rather than purposefully doing a runner! He wasn’t even upset the little rotter! Anyway, today we’re off bright and early into to London so feel free to see what we get up to on instagram stories!